The high water marks for Gov. 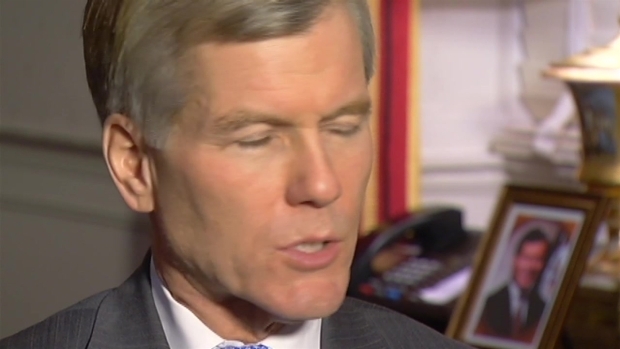 Bob McDonnell are clear. From his landslide electoral win in 2009, he rose to national prominence. He was mentioned as a possible vice presidential candidate and was chosen to chair the 2012 GOP convention's platform committee. Last February, on the final day of the legislative session, McDonnell won passage of his signature achievement -- the sweeping transportation funding bill. Northern Virginia Bureau Chief Julie Carey talks with outgoing Governor Bob McDonnell about his efforts to improve the state's mental health system. "Transportation was the issue nobody thought could actually get passed in a substantive way to make a generational game change in our infrastructure and we got that done so there were a couple of high fives after that," recalled McDonnell during a 30-minute interview conducted Wednesday inside the executive mansion in Richmond. The transportation measure is just one of hundreds of achievements detailed in a glossy, 52-page booklet created by McDonnell's staff and titled: A Commonwealth of Opportunity. Among the other top achievements spotlighted: closing two budget shortfalls without raising taxes, posting four years of budget surpluses, the creation of 160,000 private sector jobs during the administration and a ranking by Forbes.com as "Best State for Business" in 2013. News4's Northern Virginia Bureau Chief Julie Carey interviews outgoing Governor Bob McDonnell in Richmond, Va.
"I believe Bob McDonnell's legacy is as a pro-business, pro-job growth governor," prominent Republican and president and CEO of the Northern Virginia Technology Council Bobbie Kilberg said. "He's been an extraordinary governor for the business community. We couldn't have asked anything more from him." But soon after the transportation funding victory, news of the Star Scientific scandal broke. For months now, a federal investigation has been underway into gifts and loans given to the governor and his family by a political donor and CEO of a dietary supplement company, Jonnie Williams. The rising GOP star's political stock tumbled. "It tarnished his reputation. It really did," George Mason University political analyst Mark Rozell said. "People saw him as a very straight shooter type, very ethical, very competent and what ultimately happened was so outside the understanding of Bob McDonnell that so many people had, outside the reputation he developed. It was politically crippling for him." McDonnell said he hopes his record will be judged by much more than the Star Scientific controversy. "In retrospect, I understand why people raised concerns and that's why I decided to return gifts and pay back loans," McDonnell said. "I tried to restore trust with the people of Virginia. Other people will have to judge what they think. What I know is I've worked tirelessly to get big things done. "It's been a painful year for me. I'd never in 37 years had anyone raise questions about my ethics, my judgment." When asked whether he believes he's convinced investigators that he did not violate any law McDonnell replied, "That's a choice they have to make. I know in my heart and I know from analyzing the law I have not violated any state or federal laws... I pray for a positive outcome and I'm going to work as hard as I can the last 30 days." Political analyst Rozell said if McDonnell is not indicted, Virginians will hold a largely positive view of the governor's term. "Overwhelmingly, I believe people think McDonnell has a very successful governorship... he came in saying he was going to govern from the center and he really did." 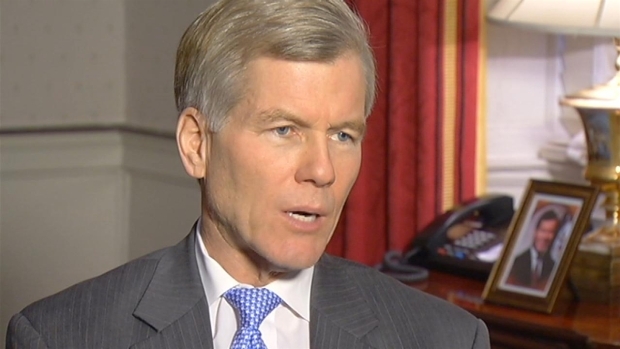 As he looks ahead, McDonnell will step away from elective office for first time in 22 years. "It's been a long haul for me," McDonnell said. "I've loved this job. It has been the highest privilege of my life." He and his wife will return to their Henrico home. McDonnell said one thing he's drawn to it higher education. "I've really loved the time I've spent with university leaders over the past four years," he said. On Virginia campuses like George Mason University, there is already a buzz about reaching out to McDonnell to teach and guide future political leaders. "I think at some university in Virginia he would be enormously beneficial to the university community and have a lot to teach to the students," said Rozell, who is also the acting dean at GMU's School of Public Policy. "There is a remarkable political story there in terms of his success as a governor in policy but also the political downfall because of the Star Scientific scandal." 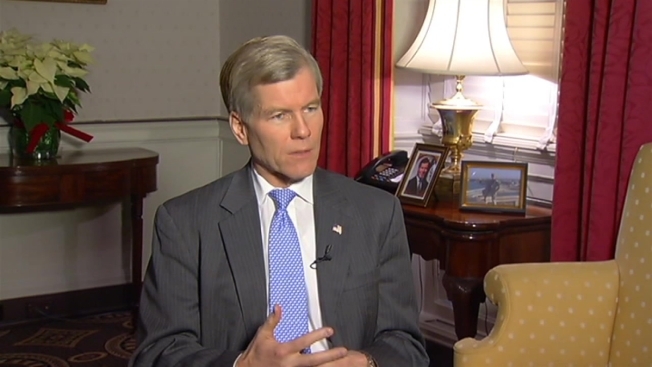 As for his Democratic successor, McDonnell said he and his staff are working hard to ensure a smooth transition. McDonnell and Governor-elect Terry McAuliffe have already met in person several times. "I've told him, 'You're another Irish Catholic governor with five kids, you should be successful and I'm going to help you every way I can.'"